4.3.8.4.2 Who Qualifies for EID? 10.2.3.3 Who May Bring a Grievance? 14.4.5 Standing Issues of Organizations. 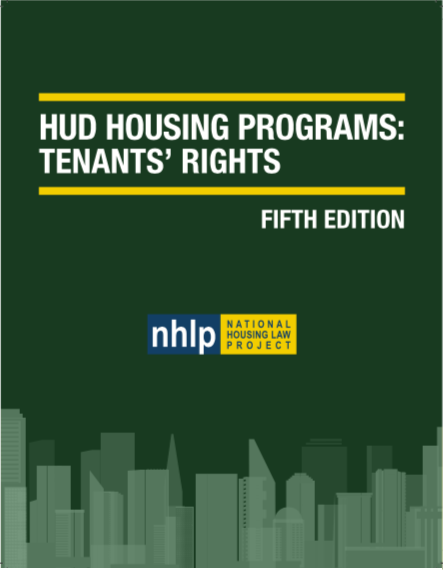 HUD Housing Programs: Tenants’ Rights (the “Green Book”) is National Housing Law Project’s signature publication. The Green Book is the quintessential guide to understanding HUD’s housing programs. The Green Book’s treasury of information is the product of over 50 years of legal experience specifically focused on HUD housing law, decades of successful high-impact litigation, and a deep understanding of intricate federal housing policy.